With the LF-C2, Lexus is again experimenting with its now signature spindle-shaped grille. 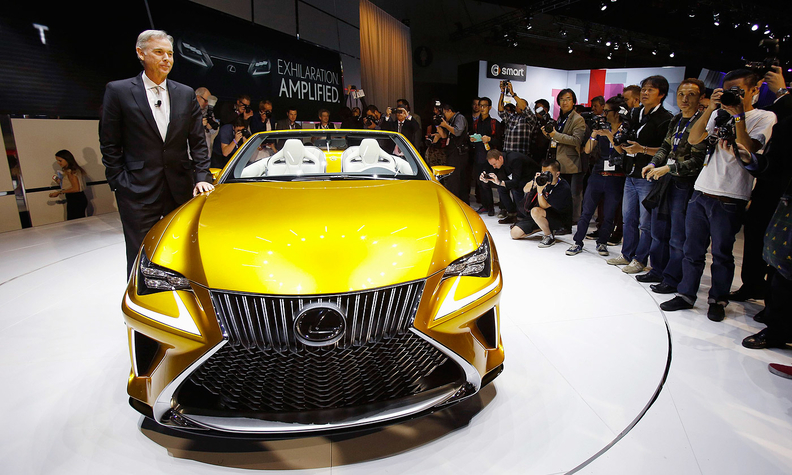 The concept was unveiled by Jeff Bracken, left, group vice president and general manager for Lexus. Lexus took another step toward overcoming its midlife crisis with the unveiling Wednesday of the LF-C2 convertible concept at the Los Angeles auto show. The roadster, resembling a convertible version of the RC coupe and marking another attempt at bold styling, includes updated exterior design elements, such as the front fascia and rear deck lid, consistent with the more aggressive approach Lexus ushered in with the 2013 GS 350 sedan. 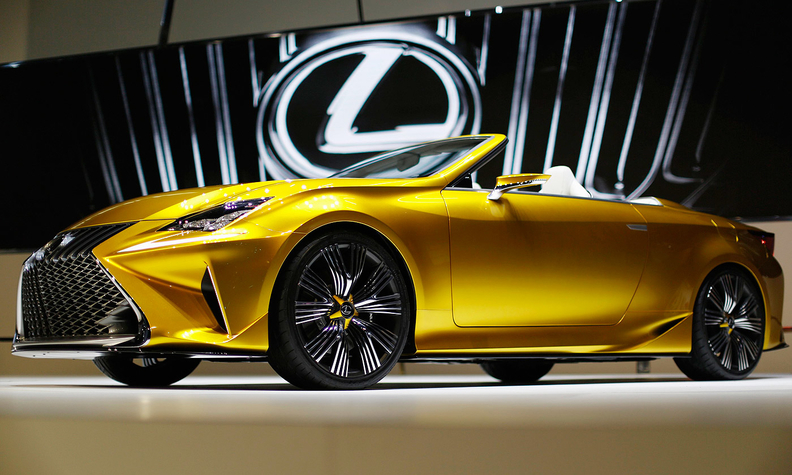 It’s a “powerful, emotional car” created to appeal to younger customers, said Jeff Bracken, Lexus' general manager. The LF-C2 concept shows that Toyota -- facing more heat from Mercedes-Benz, BMW and Audi -- is determined to position Lexus as a luxury brand committed to performance and design, said Karl Brauer, senior analyst at Kelley Blue Book.